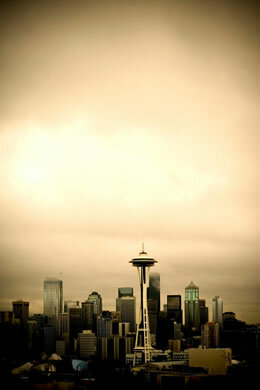 Seattle is the gateway to the Pacific Northwest and Alaska! 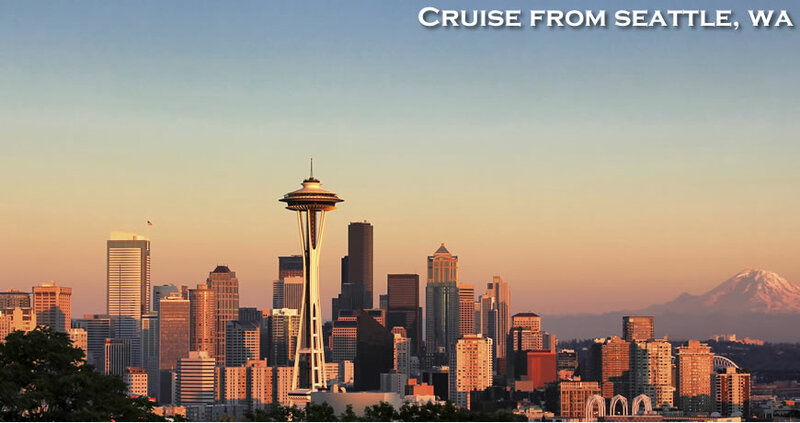 Practically all the major cruise lines such as Celebrity Cruises, Norwegian Cruise Line, Holland America, Princess Cruises and Royal Caribbean offer a variety of Alaskan cruise itineraries departing from Seattle, Washington. Typically these Alaska cruises from Seattle are offered during the months of May through September. 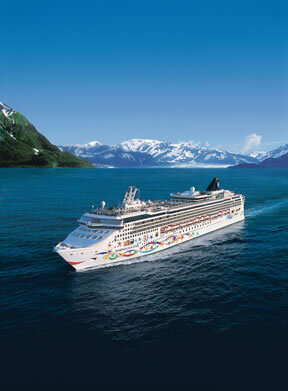 The team at Direct Line Cruises specializes in Alaska cruise vacations departing from Seattle, Washington. 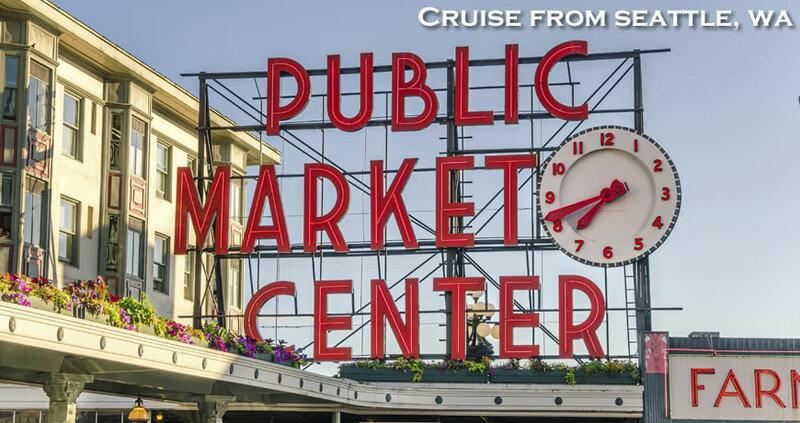 Consumers booking their cruise departing from Seattle can SAVE hundreds of dollars in some cases by simply booking through Direct Line Cruises' pre-purchased bulk inventory. In addition, travel insurance is INCLUDED with all cruises 5-nights or longer. 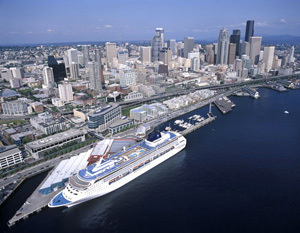 Two downtown cruise terminals make sailing out of Seattle, Washington an extremely attractive travel option for passengers looking for the convenience of cruising from a U.S. based port. Pier 91 is located slightly north of downtown, while Pier 66 is located in the center of the waterfront on Alaskan Way. Visitors arrive by plane at the Seattle-Tacoma International Airport (SeaTac). Regardless of the pier you are leaving from, the ride from the airport will be from 20 to 30 minutes depending on the traffic. A taxi will cost roughly $30 to Pier 66 or $40 to Pier 91 again depending on traffic. The Gray Line shared shuttle from SeaTac to Pier 91 is $26 per person and can be reserved at the desk located in the atrium just beyond the baggage carousel 1. There are two convenient parking garages for cruise passengers. The Bell Street Pier garage is located across Alaskan Way from the cruise terminal. It offers 1,500 spaces of covered, secure parking at a cost of approximately $20 per day (reserve online for a prepay discount). Complimentary luggage and shuttle service is available in the designated cruise parking area. The Smith Cove Terminal parking has 1000 secure parking spaces at a cost of approximately $25 per day (reserve online for a prepay discount). The parking lot is a short distance away from the terminal building. A shuttle is available from the parking area to the terminal building. Seattle sits on the shores of Puget Sound nestled between two magnificent mountain ranges. On clear days the Cascade Mountains are visible on the eastern horizon and the Olympic Mountains loom across the Sound to the west. The snowcapped volcanic peak of Mount Rainier dominates the southern view. This lovely city offers a perfect mix of urban attractions and outdoor recreation. Below are some places you won’t want to miss on your visit. Space Needle: This is the quintessential symbol of Seattle and is the visual focal point from almost any position in the city. The 600 foot structure was built for the 1962 World’s Fair and the observation deck provides superb views of the city and its surroundings. Pioneer’s Square: This historic district of Seattle offers a wealth of art galleries, bookstores, antique shops, cool restaurants, and buzzing nightclubs within easy walking distance of most downtown Seattle hotels. The cobblestone streets and horse-drawn carriages are a reminder of life a century ago. Pikes Place Market: Situated just above the waterfront, the market, founded in 1907, is popular with natives and tourists alike. It features farmers and merchants that offer fresh vegetables, seafood, food bars, cafes, restaurants, crafts, art work, and gifts from booths, stalls and shops, including the original Starbucks. The Future of Flight Aviation Center & Boeing Tour: A cutting-edge facility featuring interactive exhibits and displays where you can digitally design your own airplane. Watch a brief movie about Boeing in the high definition Boeing Theater, then hop a bus and travel a few short minutes to the Boeing factory where you’ll go behind the massive hanger doors to witness the inner workings of the world’s largest airplanes. Mount Rainier National Park: A visit to this picturesque park offers excellent opportunities for scenic drives, hiking, and mountain climbing. Most roads are open from late May to early October and all provide stunning views and access to a variety of hiking trails and other sites. Many tour companies offer day trips from Seattle if time restraints keep you from spending more than a few days in the area. 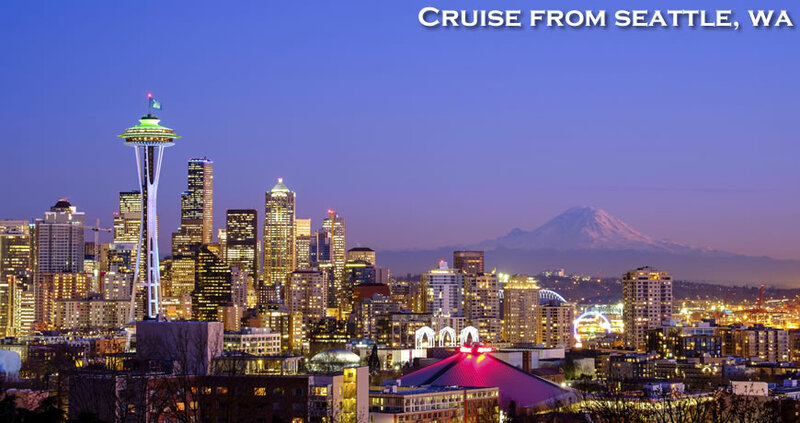 For more information on cruises from Seattle, call Direct Line Cruises at 1-800-352-8088.